In addition, this coverage has given her “the possibility of getting to know my own country thanks to the work we have done outside Havana…Throughout the six years I have been with the agency, I’ve accumulated a very diverse knowledge and vision of the island because I’ve gone to places which I think few journalists have reached,” she says with enthusiasm. “Working in remote areas has brought me many satisfactions because I see, for example, that people who live in the mountains or the wetlands feel important and acknowledged when we report on their lives,” she adds. A time when our star of the month feels that “committed journalists are becoming increasingly necessary because we mobilise societies and connect people and projects working for a better world.” A world, she says, where journalism “is threatened by fake news”, among other problems. 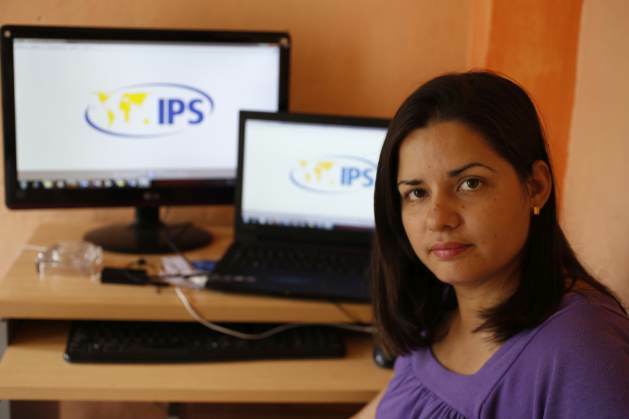 “Unfortunately, and especially in Latin America, there is also an urgent need for societies that respect and guarantee freedom of the press and governments that protect the lives of journalists,” she warns.